MedicsPro is a lightweight, faster, clean, super flexible and bootstrap based responsive theme mainly designed for doctors and hospitals but can be used in any business or personal website as well. Medics Pro Theme is built on top of Twitter Bootstrap which means that your site can be displayed on every device (pc, laptop, mobile devices, tablets etc) without horizontal scrolling.It has got custom widgets, theme-options etc in order to get it customized as per your need. Home page layout contains in-built and recent posts are touch friendly slider based on owl carousel. Pro or Paid version includes custom post types for managing team (doctors), slider on the home page and many more features ! The layout of Medics Pro adapts the screen size of whatever device your visitors are using. 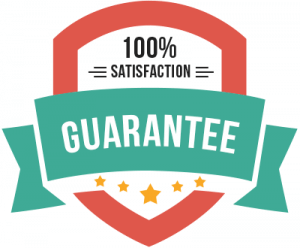 This way you offer the best possible web experience to your users, visitors and customers. 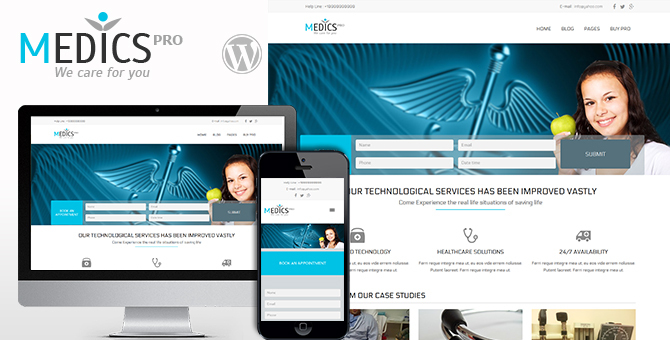 Medics Pro WordPress theme is built with SEO best practices in mind, so every thing is prepared for you, to ship thousands of visitors to your site. And if you want to fine-tune it even more: it works perfectly well with the most common SEO plugins! Medics Pro WordPress theme is WooCommerce Ready. You can start selling your recipes, ebooks etc through your own website! Medics Pro WordPress theme is optimized for SUPER FAST loading. It loads quickly and give an awesome experience to your users. They don't have to wait for more than 2-3 seconds! Medics Pro WordPress theme comes with a choice to select the best Google fonts which you like. Medics Pro WordPress theme comes with 6 preset color schemes so that you can choose the best color scheme which suits your logo and branding colors ! And if you need any other color customizations, then you can purchase one of our service packages here. Medics Pro is a translation ready theme hence you can easily add change English texts used in this theme to any language using its POT file! Medics Pro has auto updates feature which allows you to upgrade the theme in just 1 click like other WordPress.org themes/plugin whenever we update the theme on our server! Note: This is a very limited period offer and will end soon. 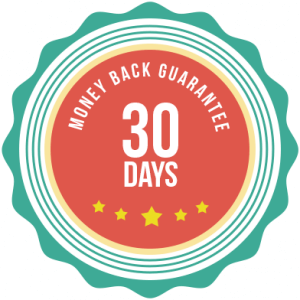 We won’t be able to provide you Medics Pro again in this offer price ($39) once the price is back to normal price ($69). START USING MEDICS PRO Now!